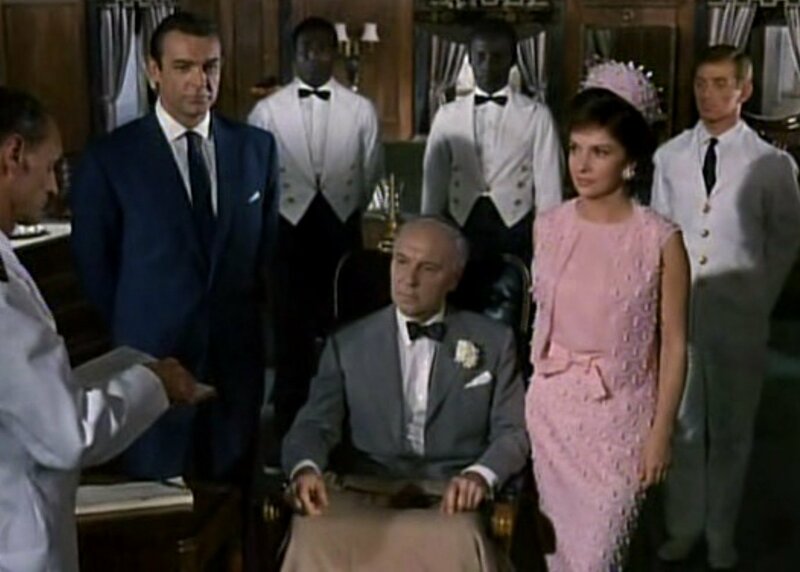 In a brief scene from Woman of Straw where his uncle (Ralph Richardson) gets married, Anthony Richmond (Sean Connery) wears a very appropriate marine blue suit for an informal maritime wedding. 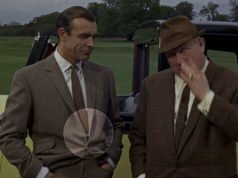 This is one of the few suits—or perhaps the only suit—in Woman of Straw that isn’t also featured in Goldfinger. The bright and rich blue colour is most appropriate for social occasions and is very fitting at sea. 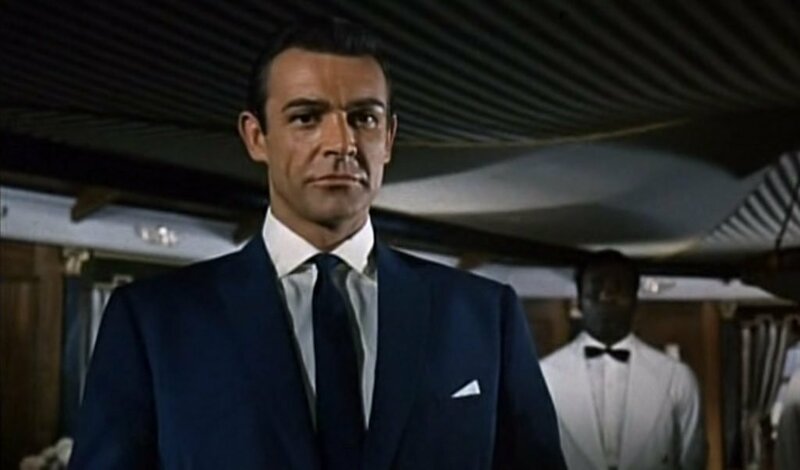 Anthony Sinclair most likely made this suit since it has his soft shoulders with roped sleeve heads, a slightly draped chest and a gently shaped silhouette. 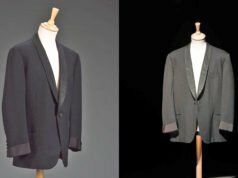 The style is a more formal button-one cut with narrow peaked lapels that is perfect for a wedding, and it’s has also been a trendy style for the past few years. The pockets are jetted, though we can’t make out any of the other details. We don’t see much of the trousers, but they are most likely Connery’s usual style with double forward pleats and side adjusters. The white cotton voile shirt from Frank Foster has a spread collar and double cuffs. Cotton voile is an excellent material for this warm Mediterranean location and dressy event. The solid blue tie is a shade very similar to—but slightly darker than—the suit. It is done up in a four-in-hand knot. The folded white pocket handkerchief is angled so that only one corner sticks out. We don’t see the shoes, but for a wedding they would most certainly be black. Simply outstanding. It doesn’t get better than that, in my opinion. The colour is superb and really difficult to find, at least in the UK. I know David is going to find it dull and boring but I’ll live with that. Not really Steve. It’s a great color but like Matt says below it’s not really ideal for Connery’s coloring. Personally I would prefer a different shirt and tie ensemble but that’s another matter. This suit, and particularly the color, is beautiful. Once again, top marks for Connery/Sinclair, circa 1964. I love the color of this suit, it looks just as good on Sean Connery here as it’s counterpart in MWTGG does on Roger Moore. I find that the colour looked a little better on Moore, and it makes Connery look a little washed out. But that could also be due to the film’s lighting. Well, we’re all agreed on the superb colour and, I think, the suit. 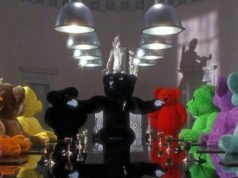 Am a bit confused about comments on Connery’s colour. I can’t think of a better and more neutral overall colour that is flattering on virtually anyone. A tan obviously helps a lot with the marine blue and fair hair would give an excellent contrast but I think an 80 year old would look good in this colour. Well, how about a simple navy blue ? The marine blue here is beautiful but I wouldn’t call it a neutral colour. It’s a rich colour with depth. As an overall colour that is flattering on virtually anyone, I think that a navy is even better. But that’s just my two cents. Nice and sober cut, although I think the lapels are a little too narrow for peaked ones, and interesting colours. I must say the groom isn’t as approprietly dressed as Connery is, as far as I am concerned.